The new buzz word in the Auto Industry these days is “Transparency.” Auto manufacturers have fallen in love with the word, as have vendors looking to charge Dealers money to bring "Transparency" to their customers. To some, the word is euphemism for “One Price,” where every buyer pays the same profit margin. This has been proven to be an abject failure. The demise of the Ford Collection is the prime example. We could revisit the Saturn debacle, but why? How many times does the lesson have to be learned. Does anyone actually think Saturn was a success story? There are still Dealers using “One Price” as a strategy of Negotiation, but “One Price” ONLY works when there is more demand than supply. Most Dealer’s fantasy is to wake up one day and find out that his nearest competitors have all gone to a “One Price” strategy. To many consumers, "Transparency" means being able to bypass the dealer and buy direct from the manufacturer so everyone pays the same margin and there is no middle man profit. After all, they aren't aware there really is no middle man profit, on average, after payment of middle man expenses. For some reason, they are oblivious to the fact that those expenses still exist if the factory owns the car dealership. Ever notice how it is the Silicon Valley types who want to change our business? Ever notice that they have never sold cars on commission or owned a Dealership before they set out to give Consumers what they think they want. These people are experts at running focus groups, although they don’t know the right questions to ask or how to interpret Consumer answers. So lets set out to thoroughly discuss the issue of “Transparency” as it regards the Car Business. What products, services or capital assets are available. There are two types of price transparency: 1) I know what price will be charged to me, and 2) I know what price will be charged to you. The two types of price transparency have different implications for differential pricing. A high degree of market transparency can result in disintermediation due to the buyer's increased knowledge of supply pricing. In economics, disintermediation is the removal of intermediaries in a supply chain, or "cutting out the middleman". Instead of going through traditional distribution channels, which had some type of intermediate (such as a distributor, wholesaler, broker, or agent), companies may now deal with every customer directly, for example via the Internet. One important factor is a drop in the cost of servicing customers directly. to confer with another so as to arrive at the settlement of some matter. Even if the Consumer is prepared to pay the Auto Dealer’s asking price, the value of any trade in has always been a matter for Negotiation. There is no single wholesale value for any Pre-Owned vehicle. A vehicle is worth whatever a wholesale Buyer will pay at auction in a competitive bid situation on a given day. Typically, Retail Buyer’s want Retail for their trade, thinking the Dealer should sell their trade at Retail just to get their money back, for the privilege of selling a new vehicle. Even in the most simple purchase situations, where a Dealer states his/her price and the Buyer accepts and makes the purchase, this is still technically a “Negotiation.” The stating of a price is a first pass of Negotiation. Regulation, beginning with the government mandated Monroney label, has forced Dealers to state their price instead of merely entertaining offers on sales. The Monroney law came into being after WW II, when Auto Dealers, who hadn’t had new vehicles to sell for years, were in a short supply, low demand situation. And they took advantage. After all, they had just been through a period of no supply and high demand and had previously experienced high supply and low demand during the Great Depression. Consumers were offended, preferring only to experience a market driven by higher supply than demand. As a practical matter, it makes no sense for a Dealer to debate “transparency” with Consumers OR with those who have never had the experience of making a livelihood by selling vehicles or with those with a major investment in an Auto Dealership. They have no standing on the issue. In the Auto Business it becomes clear quickly that without substantial gross profit, one doesn’t eat very well. The Sales Person’s welfare or the Dealer making a profit are NOT concerns of most Consumers. Consumers typically have no understanding of what a Dealer’s Cost of Sales might be. They don’t typically care. But for some reason many Consumers think they have the right to know a Dealer’s cost structure. These same Consumers seldom ask cost and margin questions of other retailers. At the least they don’t want to pay more than other Buyers of the same product. That’s no surprise. Neither do I. But if I buy from a “One Price” Dealer there is NO ASSURANCE that others aren’t buying for less than I do. After all, there are always competitive Dealers who are happy to work from their “One Price” competitor’s Best Price. All car buyers negotiate in some fashion and to some degree. Car buyers typically think they are entitled to be quoted a price to take to competitive Auto Dealers. The first Dealer either accommodates, or doesn’t. If the Buyer doesn’t like a Dealer’s Negotiation Strategy, they are free to find one that gives them what they want. In other words, the market works in the Buyer’s favor. The Car Buyer can find another Dealer more quickly than the Dealer can find another Buyer. Consumers are NOT held to the same laws and ethics that Dealers are obligated to. So the Consumer holds all of the advantages, EXCEPT, in most cases, the Dealer has more experience Negotiating car deals and possesses more accurate information. Providing equal information to a Car Buyer would, in theory, create an efficient market that could commoditize new vehicles. This could theoretically eliminate Dealers. But then who would take the trades? Who would arrange the financing? And who would teach Consumers how to interpret all of the information? In Business, it is also clear that if a Negotiation takes place, and neither party gets their “feathers ruffled,” someone left money on the table. So what do Car Buyers really want? They want a guarantee that they will WIN the Negotiation. They want a guarantee that the Dealer will quote them a price that they can validate in their own mind by using what the first Dealer provided to shop other competitive Dealers. This has not changed in my 43 years in the Auto Business. Only the method of delivery of the information has changed, as well as they ease with which a Consumer can shop. If a Dealer doesn’t play along, they are vilified, not only by Consumers, but OFTEN by 3rd Party Vendors who appeal to Consumers and who also depend on Auto Dealers for revenue. But the Market works. If Consumers are unhappy with one Dealer, they can go to the next. They can also make use of information provided by the Vendors, although these Vendors are at risk if they also depend on Dealers for revenue. So how does one sell New Vehicles in this environment? Most Dealers attempt to provide Consumers with a “Perception of Transparency” as a Negotiating strategy, since TRUE Transparency would prevent making a Gross Profit high enough to pay overhead expenses. We currently do not have true Transparency and we are still seeing considerable margin compression. The Consumer has the ability to shop until they find an Auto Dealer Negotiation strategy they like. Some give up and buy because they were worn down, lost patience, and gave in. 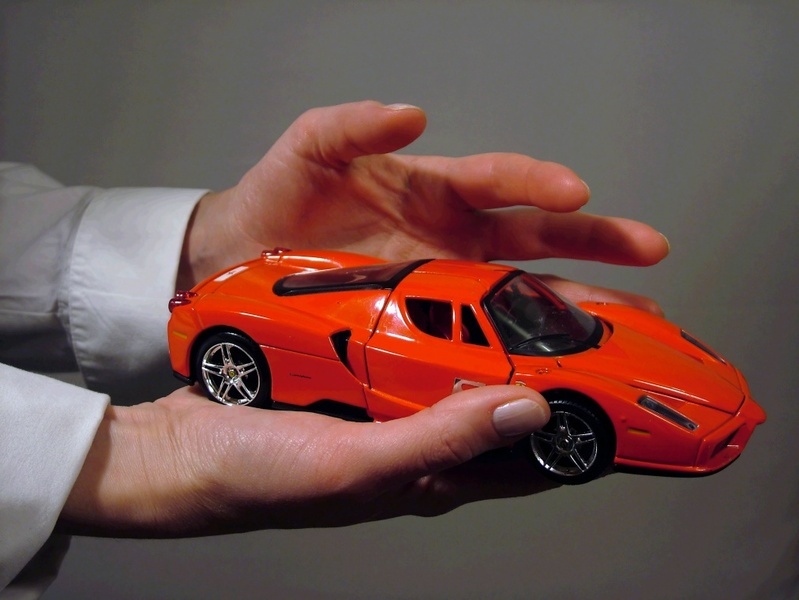 Others depend on the Dealer to arrange financing which may be more important to them than the price of the vehicle. Despite the massive amount of regulation that has been imposed on the Retail Auto Business, the current Market Driven system has sold up to 17 million vehicles in a year. Some might say the system has served us well over the years despite the fact that many Consumers are aggravated by the process. To those Consumers, I say, “Keep shopping until you find the Dealership shopping experience that gives you what you want.” Let the Market work. Dealers are not typically completely “Transparent” with their own Sales People and Managers. Why should they be? It is human nature for Sellers to give away potential profit in an effort to make a sale. The cost structure of a new vehicle is so complicated that even Dealership management staff has a hard time understanding it. In many cases, the true cost structure is not determined until a Dealer receives a check based on the achievement of objective over a period of months. With all of the possible incentives, including “Conquest Incentives, “Realator Incentives, Plumber Incentives, Glass Company Incentives, First Time Buyer Incentives, Fleet Incentives, Special Bid Incentives, College Grad Incentives, Employee Purchases, various “Private Offers,” Returned Military Incentives, and many more, plus variations of the above. Trying to provide all of this information, including teaching Consumers the elements of the wholesale market would be overwhelming to most. It would be akin to drinking from a fire hose. There is a considerable learning curve when training new Sales People. Consumers aren’t typically going to understand it all when they are only buying a vehicle every few years. New hires entering the Auto Business as Sales People bring their perceptions as a Consumer to their new job. Like me 43 years ago, most were convinced in the beginning that selling cars would be easy. All one would have to do is to quote the lowest price and make up the loss of margin in additional volume. What a revelation us veterans of the business had when we found out that Consumers had no loyalty. There has never been such a thing as the “best price,” despite the fact that Consumers typically think there is. As an early “price quoter” I was the one who spent the time, gave a detailed product presentation and demo drive, only to find many of my prospects, who had promised to “Be Back,” had bought from a competitor who had beaten my “Best Price” by a small margin. Occasionally, deals are lost because one appraiser might see more value in a trade in than another. To be clear, some Auto Dealer attempts at negotiation are more “artful” than others, and crude attempts at Negotiation generally fail. The Consumer isn’t harmed, except for some wasted time. They are certainly given “grist for the mill” in their complaints about “Negotiation.” They are free to keep shopping for that Dealer who gives them what they seek. But then some Consumers are never satisfied. I recall a time when my boss, the Dealer himself, quoted me a price that involved a $1K mistake in my Customer’s favor. I presented this price to my Customer who then railed about us being crooks, cheats, and liars. After shopping our quoted price the Customer later slunk back into our Dealership to take try to take advantage of the mistaken quote. And because we didn’t honor the price from two days earlier, we were crooks, cheats, and robbers all over again. A good deal is as much perception as reality. Let’s discuss “Transparency” as a practical matter in the modern Internet driven Auto Market. The most demanding Consumers are the ones who have 720 and higher credit scores. They know they have good credit and can buy what they want. They are the ones who are most analytical and the most demanding of information to shop with. They are the ones who feel most entitled to be able to determine the “Best Price” from the convenience of their office chair using the Internet, entertain competitive quotes from Dealers all vying for their business, and to make a purchase decision without spending a lot of time or going through a more traditional process of negotiation. They will typically visit a dealership for a demo drive and to gather additional information, then retreat to their computer to use the Internet to “Negotiate” the price as they try, often successfully, to get Dealers into a bidding war with each other. The fact is, this niche of Buyers make a LOT MORE NOISE than their numbers would indicate. This group makes up LESS THAN 30% of Consumers. And of that 30%, at least 5% of those have a debt payment to income ratio that does NOT guarantee them financing. All other Car Buyers have a legitimate concern that they might not gain credit approval for a Car Loan at optimum terms and interest rates. AND without the help of Dealers and their market power, many of these could NOT gain a car loan on their own. Does anyone with common sense believe that the Retail Auto Industry should turn itself upside down over 25% percent of Consumers who represent less than 15% of total Vehicle Sales Gross Profit? In this current environment Manufacturers are coercing Dealers into ever higher overheads through ridiculous “Image Programs.” What happens if margin compression makes the selling of vehicles unprofitable to Auto Dealers? A quick look at history will give an indication. When I entered the auto business in 1970, the Markup on large vehicles was 22.5 percent, plus a 2 – 2.5% “Hold Back” that was paid to the Dealer every quarter or at year end. Imports typically had no “Hold Back” in those days. Deals were transacted OVER “Invoice,” the amount the Manufacturer drafts the Dealer’s floor plan account when the vehicle leaves the assembly plant, sometimes before. There was little “Trunk Money,” money rebated to the dealer based on “Stair Step” programs and other incentives based on achievement of an assigned objective. In other words, “Invoice” had meaning. Today “Invoice” has little meaning. Consumers routinely take delivery of a new vehicle for LESS than the Dealer has to pay off at his/her lender. The “Markup over invoice today is less than 10%. Manufacturers have raised the MSRP to accommodate both the cost of rebates and subventions, but also the “Trunk Money.” In 1970 F&I revenue represented a relatively small portion of Gross Profit on a per deal basis. Today the per deal F&I gross profit runs from $1K to $1.5K. Labor rates in Dealer Service Departments were reasonable in 1970. Today, $100. plus per flat rate hour isn’t unusual. Are you starting to get it now? Many Consumers think Manufacturers should cut their Franchise Dealers out of the equation. First, there are laws in place to protect those Dealers, all of whom have made substantial investments in their businesses. Secondly, the OEMs would need Ben Bernanke's printing presses running full time to ever come up with the amount of capital required to replace their Dealers. It ain't gonna happen. If Consumers don’t want to “Haggle,” let them find a Dealer who will give them what they want. Vendors who started their businesses depending on dealers for their initial revenue, and who now turn on those dealers and demonize them in an effort to convince consumers to turn to them for “protection” from the villains, and who provide even more downward pressure on gross profits, can expect push back and a lack of cooperation from auto dealers. TrueCar, CarFax, Cars.com, and some others have paid a price for pushing Dealers too far by providing Consumers additional tools to help them in the effort to compress margins, often depending on Dealers to support their efforts. These Companies have every right to do what they are doing and/or have done, but they are unrealistic if they expect there to be no push back from Dealers. I suspect there are some others, including Kelly Blue Book and their version of the “Bell Curve, recently abandoned by TrueCar while under fire from Dealers, who will be a target for Dealer push back. As long as the Franchise Dealer system is in place, trades are taken, and financing not a given, there will be no completely “Transparent” and “Efficient Market” that commoditizes pricing in the Retail New Vehicle Business. Is this a surprise, or just common sense? The current system has served us well and will continue to do so. One myth promulgated in the 1990s, and now resurfacing with Tesla’s effort to run its own sales outlets, is that factory stores save money by reducing distribution expenses, wrongly estimated at 30% of the total cost of a car. Put aside for a moment that the percentage itself is way off, Keller says. Ford’s ill-fated Auto Collection experiment in certain markets during the late 1990s proved that Auto Companies are good at a lot of things. Running Dealerships isn’t among them. Dealers with entrepreneurial spirit are good at doing that. Ford ended its bad-science experiment after a couple of years of market share losses and mounting evidence that Factory Stores do not deliver a better customer experience nor reduce costs. Franchise dealers’ cumulative investment in land, equipment and facilities easily exceeds $100 million, Keller says. The inventory buffer allows auto makers to adjust future production levels. For a company like Ford, U.S. inventory funding equals about $15 billion at any point. Not all that long ago, Silicon Valley funded and lost hundreds of millions, maybe even a billion dollars, on ill-fated ventures that promised to sell cars online. Buying a car is as complex as buying a house, Keller says. “Why should we think it should be as easy as buying a pair of shoes from Zappos with a return receipt in the box in case they don’t fit?” While much Auto Advertising has shifted from newspapers to the Internet, that transition “has not reduced Advertising expense per vehicle or made buying a car as easy as buying a book,” she says. “Add up all the monthly traffic to all automotive sites, including auto makers, dealers and independent sites, and you’d get more than 100 million, possibly close to 200 million, unique visitors using the Web to get information about buying or selling a new or used car. Technology is wonderful. Dealers have adapted to it. Sophisticated software helps them manage every aspect of their business. But it will not fundamentally change Auto Retailing, Keller says. I would only add this. As long as Auto Makers understand that Dealers are their Customers and the End User is the Dealer’s Customer, things will be fine.